Love Easter? Love Rabbits? You’ll be crazy for this truly wonderful Sterling Silver Moveable Rabbit Charm. Great in combination with some of our other Sterling Silver Easter Charms. 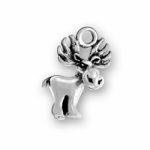 Looking for a charm that is different than others? 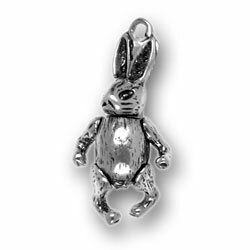 Our Sterling Silver Moveable Rabbit Charm will be just the charm that you were looking for. Our Sterling Silver Moveable Rabbit Charm is a moveable charm that sets this charm apart from others. Add our beautiful Sterling Silver Moveable Rabbit Charm to your charm bracelet or necklace. 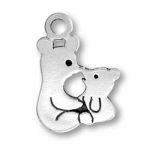 Gift this charm as a gift for Easter or a perfect charm to hide inside of Easter eggs that are hidden from others this year. 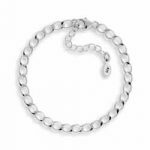 Create a custom Easter Charm bracelet this year by shopping our Sterling Silver Easter Charms and our other Sterling Silver Charms. Create a custom charm bracelet with our Sterling Silver Moveable Rabbit Charm and others to create the charm bracelet of your dreams. Try our Build-A-Bracelet Designer to create a special charm bracelet that will last! Create the charm bracelet of your dreams in no time!